Download the Space Safety Magazine, Issue 5, Fall 2012 in PDF format, or browse the electronic version with the app below. Space Safety Magazine, Issue 4, Summer 2012. 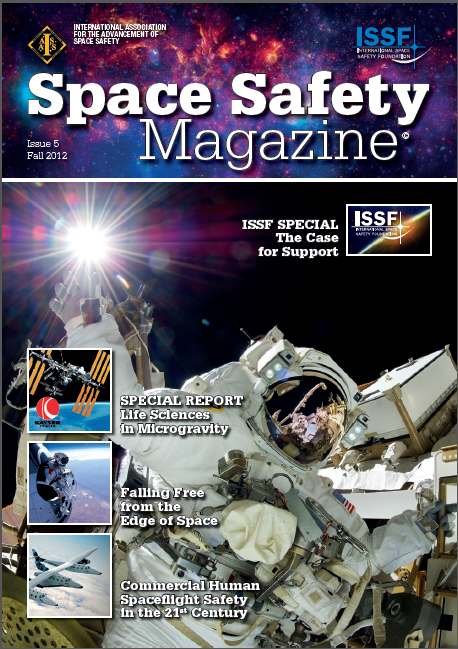 Space Safety Magazine, Issue 3, Spring 2012. Space Safety Magazine, Issue 2, Winter 2012.